Chopta is a village situated in the in the arms of Himalayas (2680 meters above sea level) and in the laps of Uttrakhand State, India. 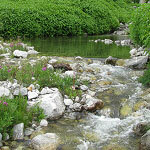 It is the most beautiful place with exciting trekking destination. It is less explored by human being because of whom it has natural beauty with purity. It is also called “mini Switzerland”. One can visit Chopta both in winters as well as summer. In winters best time to visit is from October to March and in summers one can make a trip in March to June. Here in winters one can enjoy the absolute tranquility and seclusion environment. The whole place is covered with white sheet of snow which fills the essence of peace in the area. With a cup of tea or coffee one can have the feel of ecstasy. In summers, Chopta is full of life. 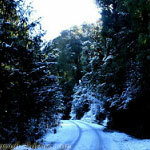 it is covered with forest of pine, deodar and rhododendron and it very rich in flora and fauna. 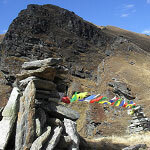 These things together make it one of the prime locations for trekkers. Trekking is the breath of this place. 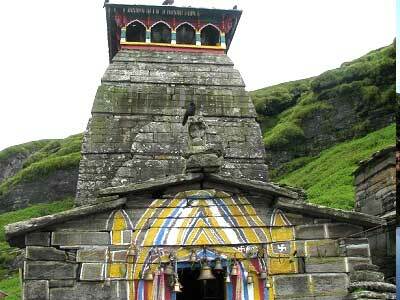 Tungnath temple is the base of trekking. The best period to visit is April to November when there is a gentle cold which is soothing breeze around makes this place heaven. Tungnath is the third temple of Panch kedar which is at distance of 3.5kilometer. From Tungnath there is Chandrashila Peak at 4000 meters above sea level where one can glimpse snow clad Himalayan ranges including Trisul, Nanda Devi and Chaukhamba. It is also famous for the splendid view of imposing Himalayan ranges which is not offered by any of the trekking places. Chopta is one of the places where one can find a huge variety of flora and fauna. 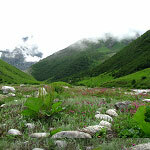 During trekking one can witness ample variety of plants and birds flying around which doubles the joy of trekking. Though Chopta has several treks abd trails cutting through jungles and grasslands. Most famous trek destination in Chopta region is the Chopta – Tungnath – Chandrashila trek. 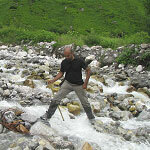 Chandrashilla, Tunganath and Deoriya Tal are the best celebrated trekking routes in this region. 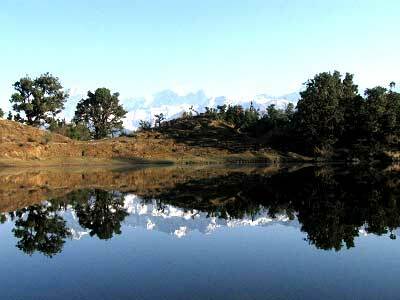 Besides trekking which is the primary attraction of Chopta it is becoming famous from nature lovers and bird watchers. Other activities one can do are camping, yoga, survival activity and so on. It has dense forest of Kedarnath Wild Life Sanctuary is also a point of attraction where one can find trees like oak, pine, burans and other Himalayan species. The place is full of beauty. In summers the peak caps are covers with snow which is an amazing sight for visistors. This place attracts a huge number of trekker every year as it has perfect sight of trekking which adventures and beauty together. It is unique because one can spot 41 Himalayan ranges such as panoramic view of Himalayan mountain range. 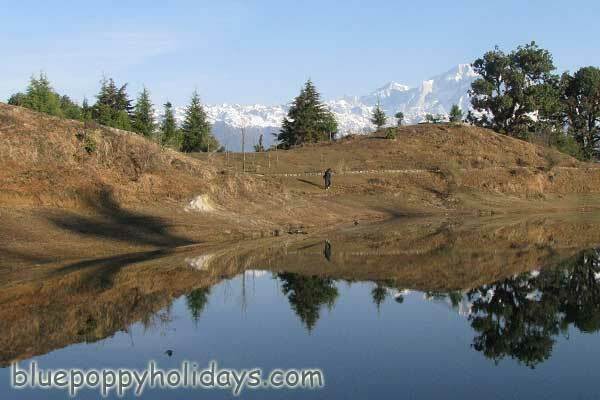 A vacation in Chopta will be an enriching experience for life time. For trekker it is the best place to go as this place is full of adventures and life. 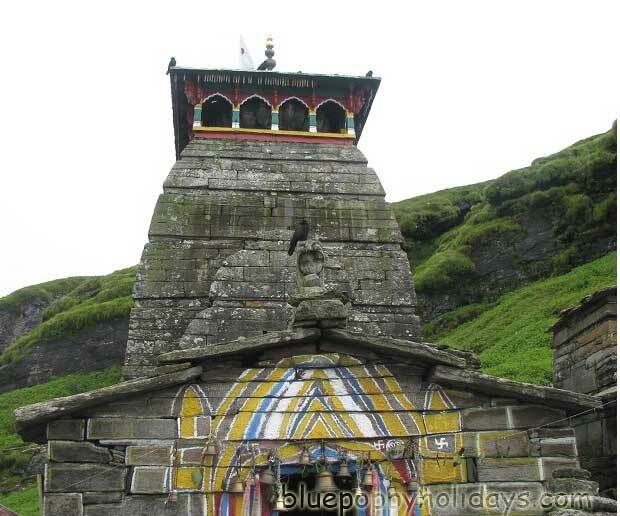 One of the most popular temples of Lord Shiva is the Tungnath Temple of Chopta. An altitude of 3680 mts above sea level makes it an endearing view. It is one of the five kedars known for its devotional appeal. The temple derives its name from Tung(arm) and Nath refers to Lord Shiva. Deoria Tal is a spectacular lake reposing at an uphill trek from Mastura and Sari village. Also called by the name of Deoria Tal, it’s about 3 km uphill on the Ukimath-Chopta road. It’s a rocky path that offers natural glimpses all the way long. Literally meaning “Moon Rock”, the Chandrashila is summit of Tungnath. A breathtakingly beautiful sight that fuses with glistening sun rays is as high as 4000mts above sea level. Chopta-Chandrashila-Tungnath is one the most enjoyable treks all the year round. 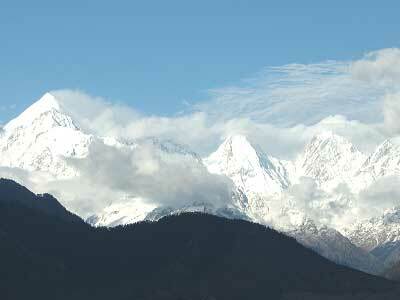 Ukhimath is the winter sear for Kedarnath and situated 31 Kms away from Chopta. The Lord of Kedarnath is worshiped in Ukhimath during winters as in winters Kedarnath is prone to heavy snow fall. Hi,is September last week a good time to visit chandrashila deoriatal? Hi, This is my iteniary. 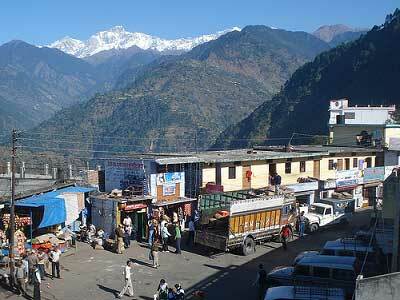 1oth –Reach Haridwar /Rishikesh in morning and drive to Chopta/ ukhimath. Stay overnight. 11th – Chopta to chandrashila. Stay in Camps. 12th – Trek down to Chopta and reach rishikesh. We need pick up and drop from Haridwar. Pls mail me a detailed itienary including price per person. My wife, 4 years old son; myself along with my brother (3 Adult and 1 child) going to visit uttarakhand at October 2016. 7th October-We will reach Haridwar from Howrah at morning .Then want to go at Rudraprayag and stay at night. 9th and 10th October going to badrinath and stay (Visit Badrinath temple and next day Mana village)(Two night stay). 11th October morning badrinath to Chopta night stay and 12th October Visit tunganath (Two night stay). 13th October morning going to Ukhimath and night stay. 14th morning came back to Haridwar for Train to Howrah (8.30 pm Doon Express). 2) During October is Badri and chopta suitable for my son? 3) Whole trip we are going by share taxi or by bus (mainly Badri to Chopta), is it available? Planning to go to chopta from delhi on 20th June 2016. 4 return to kerala on 26th booked our flight. 3.trekking condition during the planned day. Your plan is good, Road is good from Delhi to Chopta. We can provide you the cab, please mail us your phone number. Temple is open. How many of you are coming for the trek to Chopta. I am visiting chopta in mid may. is it a good time to do birding here? Yes its good time to visit Chopta. Please suggest best time to do Chopta,Tunganath Chandrashila trek with you and what will be the cost. Chopta is beautiful any time of the year. You will see snow clad mountains in winters till March end. 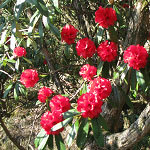 In march you will see Rhododendron flowers and virtually pink forests. 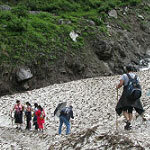 Cost is dependent upon the number of people coming for the trek, ranging from Rs. 10000 to Rs. 15000 per person. I am bit undecided between travelling to Chopta in Feb (19th to 21st) or in March (24th -27th). Which is a good time? 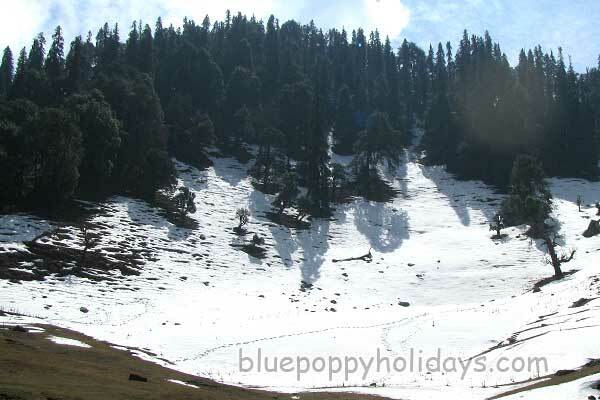 March (24th -27th) will be better time to visit Chopta as you can see lot of Rhododendron flowers with snow during this time. We want to trek to Chandrashila in March beginning. Will we get any snow? Please send me some details about this trek. Yes you will see lot of snow in March. A detailed itinerary has been sent to you.Please check it and revert. Hi I want to visit Chopta during Dec-Jan, can you please send information on accommodation and treks nearby. A detailed itinerary has been mailed to you. Please check and revert. Hi! I was looking for some information regarding visiting Chopta during winters. Can you please guide on how safe and accessible is Chopta during Dec-Jan alongwith accommodation options and itinerary. Thanks. A detailed itinerary has been sent to you. Chopta looks beautiful in winters and its totally safe and accessible. You can definitely go. Definitely go can go. Kindly share your number with us on trekforall@gmail.com so that we can discuss this in detail. 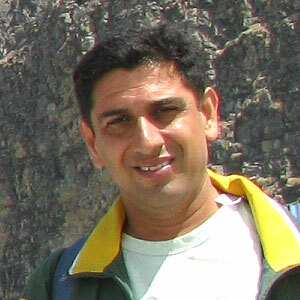 could you please send me the details of the Chopta Trek. Is it suitable for kids aged 8 years. would like to go in the 2nd week of October. 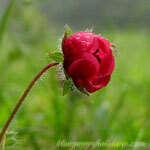 Valley of Flowers will be closed around 2nd week of October. You need to prepone your date of departure. We are 3 friends who want to visit Chopta around october. I would like to know about the Chopta trek. Preferable in Aug end. Detailed mail sent to you kindly check and revert. I am going for the tunganath, chandrashila and deoriatal trek. Need details regarding that. thank you. Detailed mail has been sent to you kindly check and revert. I’m interested in having more details. Please help. Detailed itinerary has been sent to you by mail. Kindly check. Interested in chopta tungnath trek in mid march. could you please share complete trek details. We are interested in going to Chopta in end of March, 2015 or first week of April, 2015. My mobile no. is xxxxxxxxxx. Hi a detailed mail has been sent to you in this regard.